Handing is determined from outside (code side). Right hand - hinges on the right. Left hand - hinges on the left. If door aesthetics and security are important to you, check out this innovative security handle from Mul-T-Lock. Code-It is a security handle with integrated electronic access control, offering simple and effective keyless locking for internal doors, without compromising on appearance. Code-It is designed to enable conveniently controlled access to a door, without the need for any secondary locking unit and is said to be ideal for offices, storage cupboards or areas where sensitive or hazardous items are kept. 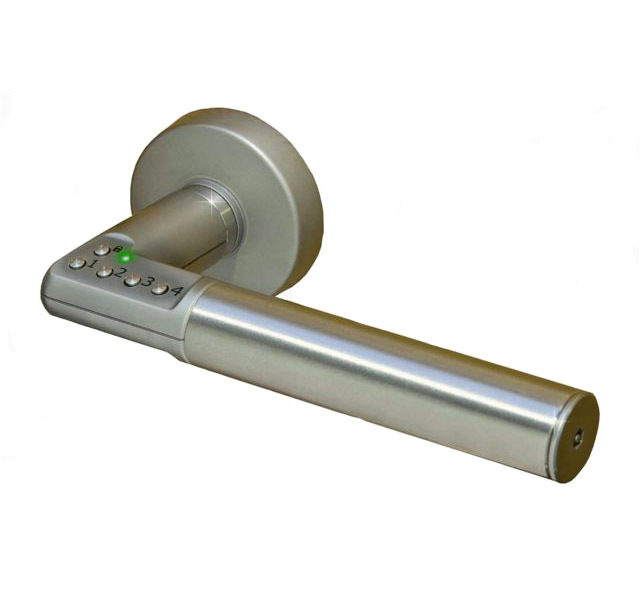 Battery operated, Code-It requires no electrical wiring and is equipped with a user-friendly code based access control mechanism, which is incorporated into the handle itself and allows up to nine personal entry codes. It is securely fixed from the inside of the door, preventing removal from the outside. For safety the internal handle will always allow free egress. Once installed, Code-It provides users with the option of automatic re-locking after the entry of a valid code, or manual re-locking to allow a door to be left 'open' to allow traffic to pass freely. 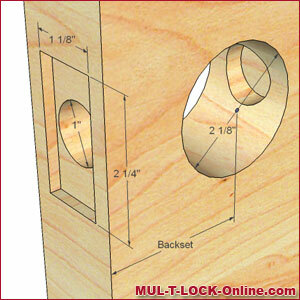 Mul-T-Lock developed Code-It, to offer homeowners and commercial customers an extra level of protection. Its real benefit is how quickly and easily it can be installed on either new or existing doors, its ability to retrofit virtually any type of handle to upgrade security and ultimately its flexibility of use. Code-It is available in both right and left-hand versions in a stainless steel finish with a satin chrome trim. The handle is CE marked and conforms to the mechanical requirements of EN1906. 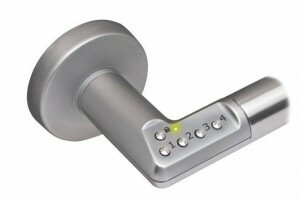 An automatic locking mechanism, built into the handle, allows the door to open with a personal code. For indoor use. Suitable for use with most types of locking/latching products.